So great to hear your thoughts on it, Mike. I’m going to take a look at it next week. I disagree with you about the math difficulty. It is noticeably tougher. Previous SATs never tested quadratics with a>1, never did linear/quadratic systems, and never required the quadratic formula (or factoring a four digit number). The difficulty categorizations are inexplicable. I am stunned that the ACT isn’t suing the College Board for plagiarism on the writing section. And am I the only one surprised at how little analysis has been done? All the work I’ve seen has been from test prep experts. No major media analysis. What’s up with that? Just got around to reading your math post—very thorough. Agreed about the lack of serious analysis by journalists. The only stuff I’ve seen has been pretty fluffy. Disappointing. I’ll be releasing a new version of my Math Guide in the fall for the new test, and I’m pretty sure Erica will be doing the same (although you’ll have to check her site for time frames). The new test is different enough that I wouldn’t recommend using the books for the current test as primary study material for your younger sister; she should wait for the new books to come out. For the past years, after becoming the National Merit Semi Finalist, how tough is the journey to becoming a National Merit Scholar? 1) If I become a National Merit Semi Finalist, what are my chances that I will also be a National Merit Finalist? What do I have to do for that?? 2) What role does SAT play in the process? 3) If I get a decent score on the PSAT, but I do really well on the SAT, does that affect my possibility of being a national merit scholar ?? 1) chances are low—there are very few actual scholarships awarded. Page 4 of this PDF should tell you all you need to know. 2) The PDF linked above should answer that, too. 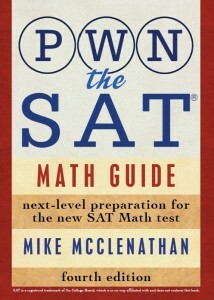 In short, you MUST take the SAT and do well to advance from Semifinalist to Finalist. 3) No. All the SAT does is confirm that your PSAT scores are legit. The NMS is awarded based on the PSAT.